We’re so delighted to be Comet Chicken’s Tip Jar recipient for the month of October! 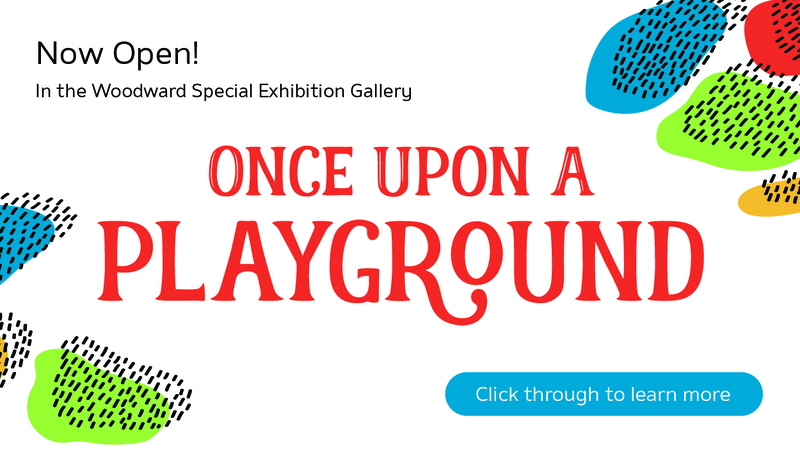 You can enjoy some delicious food and support FCMoD at the same time! 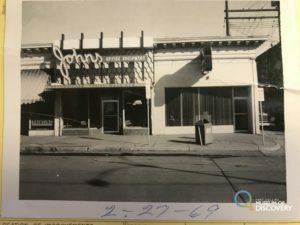 We thought it would be fun to comb through some of our local historical resources here at the Archive at Fort Collins Museum of Discovery to uncover some of the history of Comet Chicken’s location at 126 West Mountain Avenue. 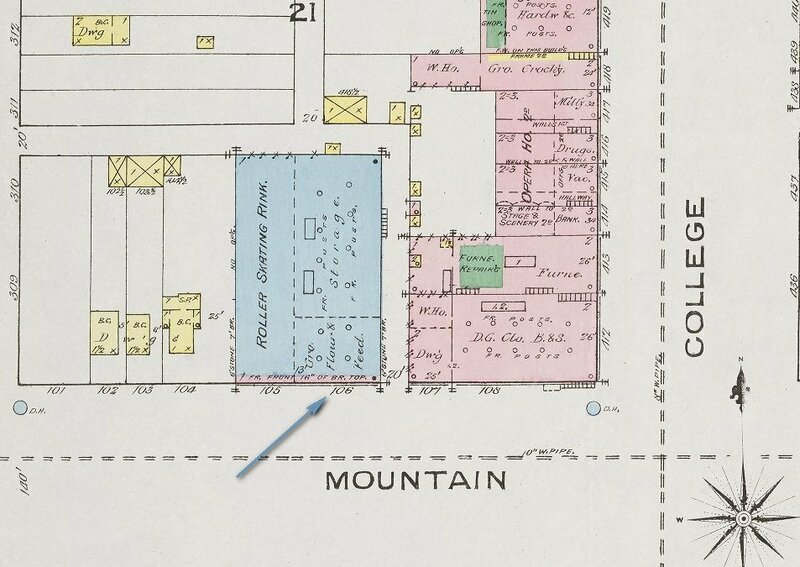 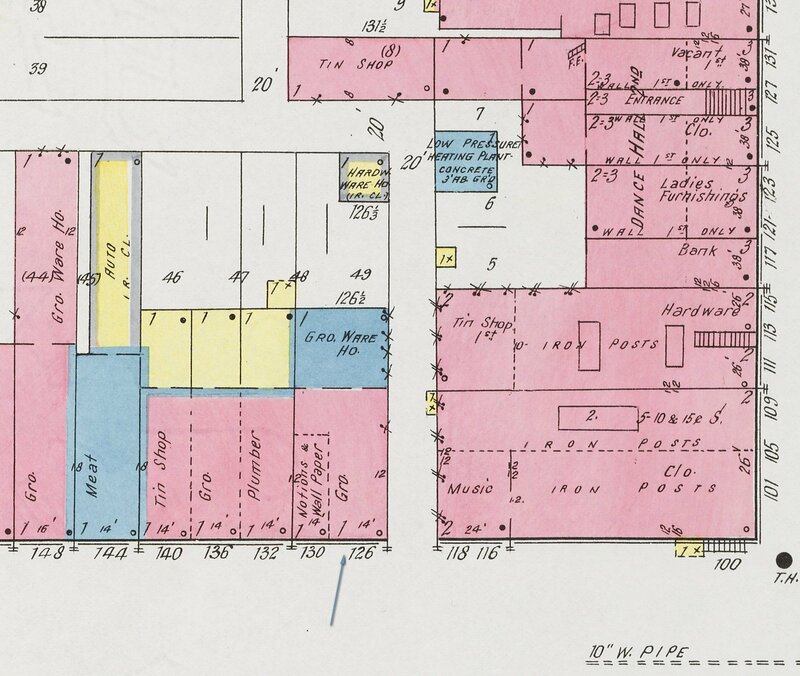 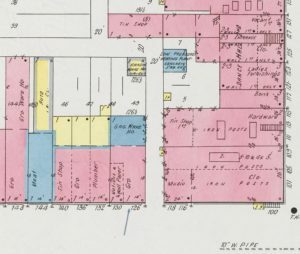 By checking the 1886 Sanborn Fire Insurance map, we can see that the location (in blue) was a grocery, flour, and feed store, and jutted up next to a roller skating rink! 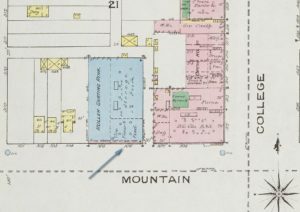 By 1918, the block has filled in with more buildings, and 126 West Mountain was a grocery store alongside a notions and wallpaper shop. 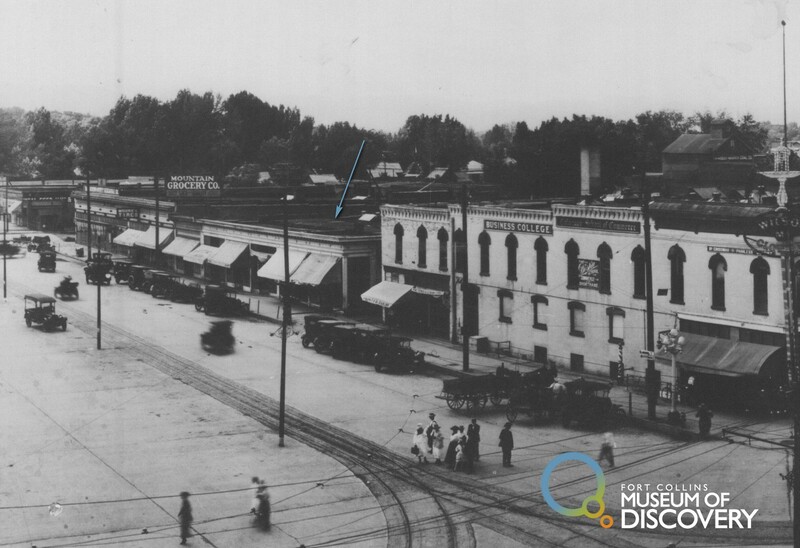 Here’s a nifty view of the area from the 1920s. 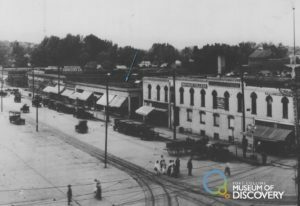 Note the trolley tracks running down the center of Mountain Avenue. 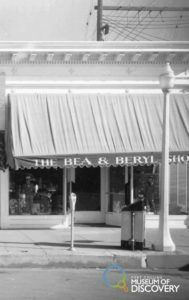 By 1955, the building was home to the Bea & Beryl Shop, a children’s clothing store owned by Beatrice Shoberg and Beryl Hess. 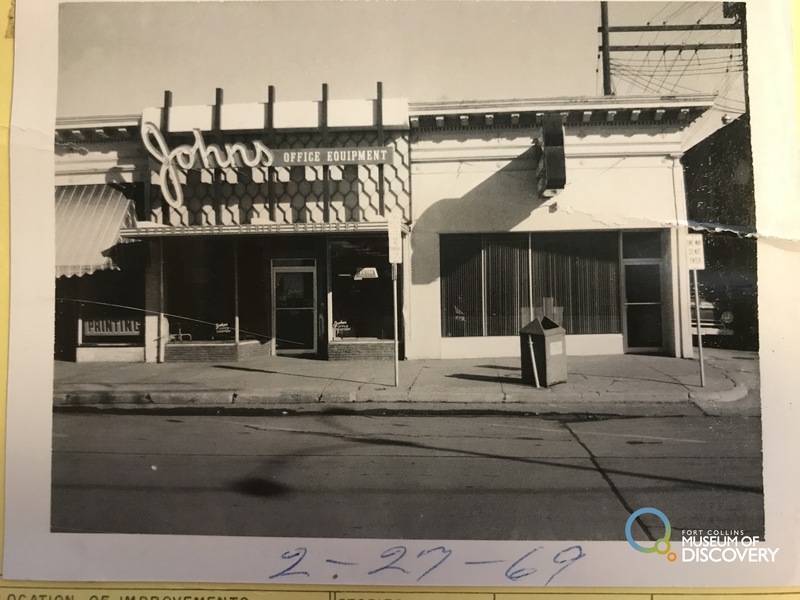 After hosting a copying company and other office-oriented businesses through the 1980s and 1990s, the location was outfitted as a restaurant about 16 years ago. 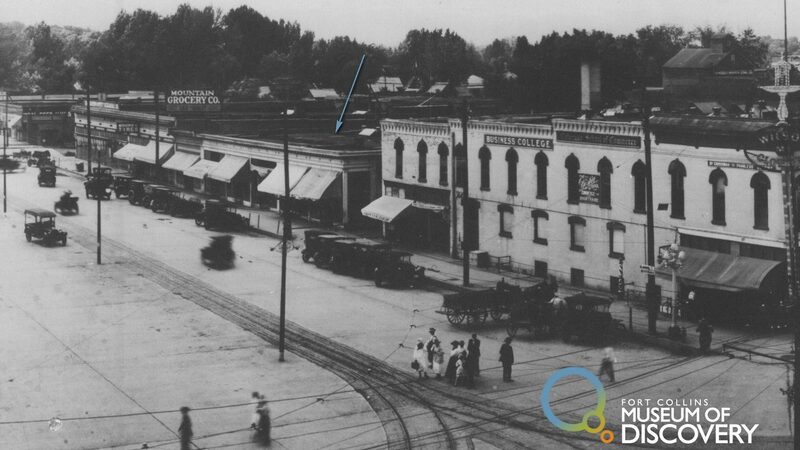 Today, we welcome Comet Chicken to this historic location, and thank them for their support of FCMoD!